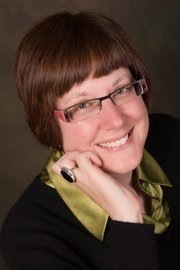 I am delighted to welcome first time author, Pat Zietlow Miller, to my blog today. Her first book is getting lots of nice buzz -- so happy for her! A very happy Pat Zietlow Miller! That’s how long it took for my debut picture book, Sophie's Squash, to move from a first draft to a published book. The truth is, no two writers have the same path to publication. And because writing is often a solitary venture full of second-guessing and self-doubt, I thought I’d pull back the curtain on the twists and turns of my path in hopes it might make you feel better about your journey. It all started the year I turned 39. That’s when I realized that no one in New York was ever going to just call me and ask me to write a children’s book. If I wanted to be a children’s book author (which I have since I was in college) I was going to have to … you know … actually write a manuscript. Once I realized this rather obvious fact, I started reading and writing. And attending Society of Children’s Book Writers and Illustrators conferences to learn all the things I didn’t know. Of which there were many. I was working on several manuscripts at the same time. Some will never see the light of day, and rightly so. Others, I still have hope for. But out of all the reading and writing that was going on, here’s the path of the manuscript that ended up becoming my first book. It all started in 2008. 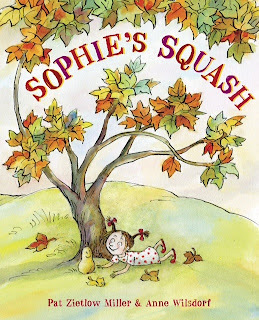 I wrote the first draft of Sophie's Squash – the story of a little girl who is unusually attached to a butternut squash. I felt optimistic. I submitted. I got form rejections. Then, I received a little blue card saying, “Cute, but not for us.” I rejoiced prematurely and brought the card/manuscript to Whispering Woods Picture Book Retreat where I got advice from Jill Esbaum and Linda Skeers. Then, I rewrote massively and repeatedly, submitted further and got … more rejections. In 2009, an editor asked for revision, saying, “Ramp up the sadness.” I rewrote again. Then, the editor left. I submitted elsewhere and got … more rejections. Another editor also asked for revisions shortly thereafter, but her peers thought the story was “too death focused.” See, even editors don’t agree. After that, it was two years of line edits, illustrations, and seeing a beautiful book come together that will be released in just a few days. So was the wait worth it? Yeah. Not just because it had a happy ending. But because it made me a much better writer. I think Sophie's Squash probably got revised 10 times during those four years, and I learned and grew each time. The whole journey taught me that downs, while disappointing, often are replaced by something even better. This knowledge helps me put things in perspective to this day – and should help me handle whatever happens during the next five years of my publishing journey. Pat, thank you for sharing your story. And thank you for keeping the faith all those years. You are role model for being professional as well as staying true to your own voice and heart. I wish you all the best! Thank you for sharing your publication story Pat! So encouraging. Hello, Heidi, I enjoyed reading about your journey. How ironic that when you revised in response to one editor's advice, another editor rejected it for the changes. I agree with you, though, these revisions turn one into a better writer. I read an earlier synopsis of your book and think the premise is just charming. I'll be looking for it once it's out. Kirby, thanks for having her on your blog.